The Pond is now one of my new favourite places in Brighton. My friends introduced me to this independent pub located in The Lanes that sells the most amazing bao. "Craft Food. Street Food. Zero Ducks." My friend had been raving about The Pond for ages saying how amazing the food was there, and so my friends and I headed up one night and I was so excited! Even though it was pouring (literally pouring) down with rain, I was walked through the lanes, up the hill, absolutely soaking wet, but for getting to The Pond it was totally worth it. 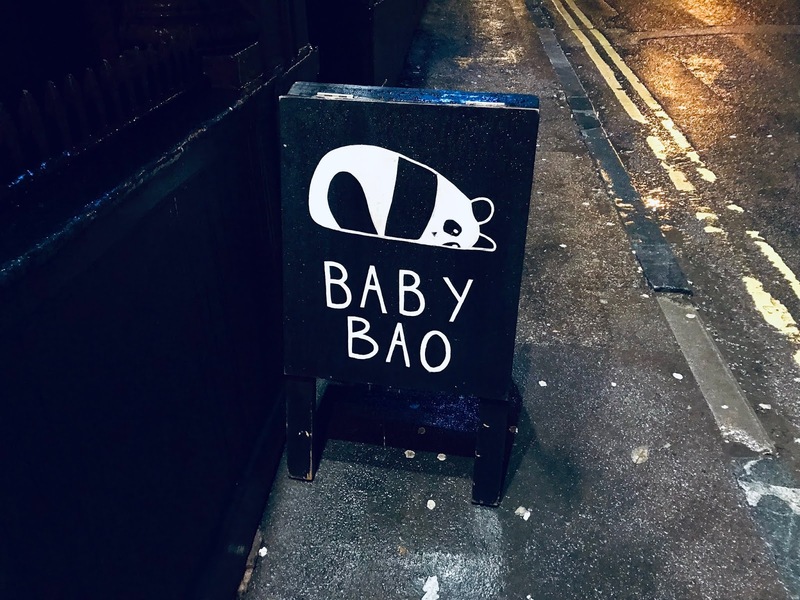 So what's bao? Basically bao is a Taiwanese steamed bread roll that can be filled with any delicious meats and vegetables. It was the first time I'd tried bao before and I am so happy I lost my bao virginity at The Pond because oh my god it tasted so amazing. Food-wise they have a regular menu that has several different bao dishes as well as fries, burgers, chicken wings, spring rolls, mac n cheese, salmon as well as so many vegan options and sides too, and even a donut bao. They also have a few specials everyday. 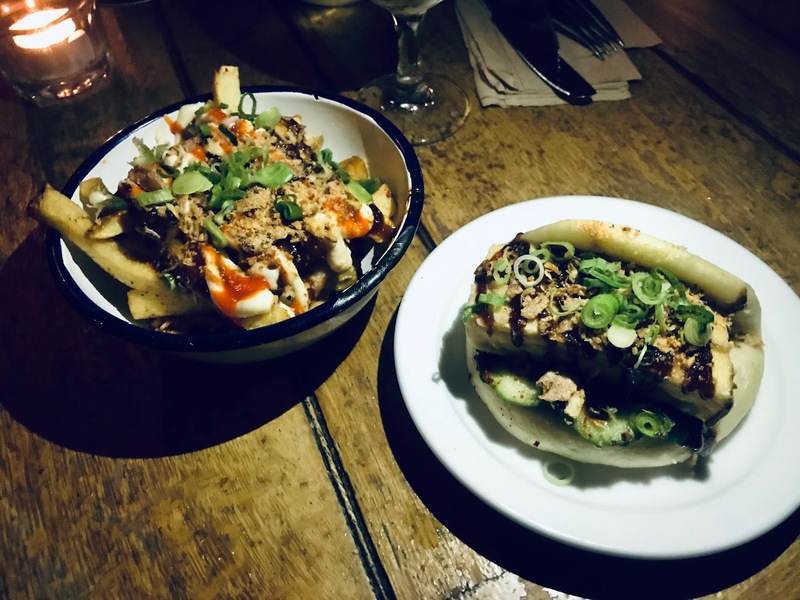 I ordered the Tofu Classic Bao (Crispy Fried Tofu, Hoisin Sauce, Peanuts, Spring Onion, Cucumber) with Baby Bao Original Fries (Hoisin, Miso Mayo, Sriracha, Peanuts, Crispy Fried Onion) - oh my god it was so good! Bao is similar to a dumpling in texture and the tofu filling was so yum.. and all the toppings on top of the fries. I would definitely recommend for anyone who hasn't tried bao or The Pond to give it a taste because it was spicy and so delicious. We stayed in The Pond for some drinks and it had such a chilled atmosphere with music playing, and the prices weren't too bad for an independent pub either. So even if the food is not really your thing, then it's just a really nice place to go to. I would definitely recommend popping The Pond on your list of places to visit in Brighton. *After uploading this post I have just found out that the cute yet really weird short film created by Disney Pixar which aired before the Incredibles 2 in cinemas last year - you know the one where the women cooks a dumpling that comes to life and becomes her son... and then she eats it... yep that one... - that short film is called Bao and a bao is what she cooked and ate haha, and now I've tasted one I feel so complete. This looks/sounds so good - whenever I'm next in Brighton I'll definitely check it out!